I once wrote a post about this guy who was an 18 years old (then) amputee. We met during his follow up at the Orthopedic clinic one glorious day (to be frank I had no idea if that day was glorious, it could be gloomy for all I remember). If my memory served it right, he was the last patient that Friday therefore we talked longer than my previous patients (we allocated approximately ten minutes to interview patients who were recruited into our study – The Quality of Life among Lower Limb Amputees). To see the correlation of the character in review and him, read till the end. :) I did not just tricked you into reading this whole thing. Augustus ‘Gus’ Waters just could not believe his eyes! One day he went to the support group and he saw Hazel Grace Lancaster (who insisted on being called just Hazel and bear a striking resemblance with his late girlfriend Caroline who succumbed to brain tumor ). Gus, eleven months in remission from osteosarcoma and Hazel, three years in remission for thyroid cancer with mets to lungs with long term oxygen therapy . He was seventeen and she was sixteen. The plot: all right. Predictable but still enjoyable. So should I read the book? I guessed you ask. Answer: YES! Have you a great book that made you smile and all 'awwh' (well not all the time obviously) but stabbed you right at the heart? As I was reading, I wonder how it was possible to finish since I had been having lump in my throat, tightness in my chest as I continued (but I did!). Oh, the feels. And that was why you must read it, because of the feels. Back to my first paragraph, young boy, amputee with a prosthesis, bright and optimistic, tall, lean and rather good looking (minus blue eyes) & of course his did not have a terminal disease but hey, I believed I once crossed stars with our very own Augustus Waters. 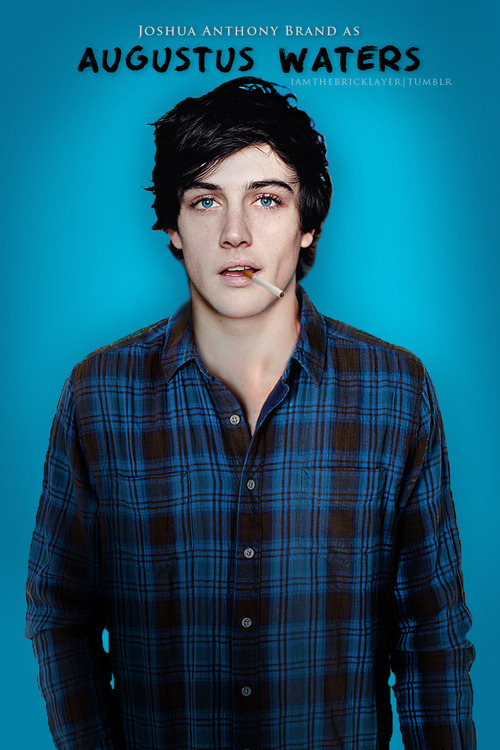 Almost casted as Augustus Waters. Too bad, he certainly looked the part! Written after reading it once, so if I got the figures/facts wrong, sorry. Watch this space people, I'm back! I certainly hope so. kann, mamat gambar kat atas ni sangat Gus alike. But then that blonde/brunette boy yg casted. I will google it! hehhee. I like how your mind work! we think alike. gahhhh. the beauty of novels and fangirling!